So this CIA traitor storyline isn't going away. 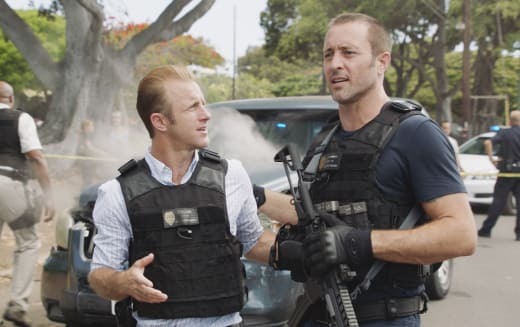 Five-0 was still entangled with espionage by the Chinese on Hawaii Five-0 Season 9 Episode 2. And even afterward, it appears. I can't say I was surprised that Greer's buffoonish partner Miller set everything in motion. Actually, I take that back. I figured that Miller was a double agent just like Greer. But no. Even though he was her partner, he had no idea about her deal with the Chinese. And, as a result, his lengthy CIA career was circling the drain. The smart thing for him to have done was to retire and go into private security. 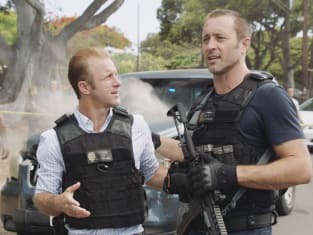 The wrong move was to attempt to extract a double agent and his family who got exposed after Five-0 busted a Chinese spy ring on Hawaii Five-0 Season 9 Episode 1. Miller didn't know he'd been compromised as well. Why didn't someone at the CIA demand to check his electronics as soon as Greer was uncovered? Miller might still be alive then. McGarrett's instincts served everyone well this episode. Where were they when Greer, the one who got away, played him last episode? HIs spidey sense told him that there was no reason for the Chinese to kidnap this family man unless there was something more to Jack Teague. And he was right, although he had no idea how right. Of course, if Chinese intelligence was involved, it would lead to his clashing with Greer. Why would the Chinese possibly pull their exposed asset out of Hawaii? It was so much better to burn her hunting an American double agent. That was just one headscratcher from this episode. Then there was the CIA retrieval team, wiped out by the Chinese squad in the jungle. Trained black-ops professionals got taken out that easily? Finally, then there was identifying the Chinese getaway vehicle from its side-view mirror, quickly locating it on surveillance, then intercepting it just before it reached safety at the Chinese consulate. But of course. At least McGarrett wasn't leaping buildings in a single bound. There's one nod to reality. But a healthy suspension of disbelief is part of the social pact we enter into every time we turn on Hawaii FIve-0. Right? What we really watch for is the interplay among characters. And there was plenty of that this time out. First off was Danny and Steve continuing to take their bickering outside the car to other locations (but surprisingly not their still-not-yet-open restaurant). Sparking one argument was Kamekona's investment floating around the McGarrett estate after Eddie dug it up from the backyard. I understand the optics leading to the burial. Two decorated policemen taking money from a business partner who is a reformed criminal doesn't pass the smell test. 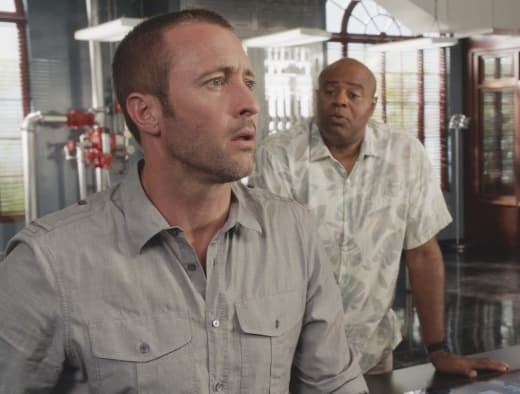 And McGarrett tried to turn the tables on Danny by saying he and Grover failed to stop by to dig the pit deeper? Seriously? Don't these guys have experience stashing huge amounts of money? Why not hide it away under headquarters again? Or did I imagine that slush fund? Then it was Danny arguing that Eddie wasn't stimulated enough by Steve, and that's why he digs. Eddie digs because he's a dog and dogs sometimes dig. It's not a nature-versus-nurture situation. 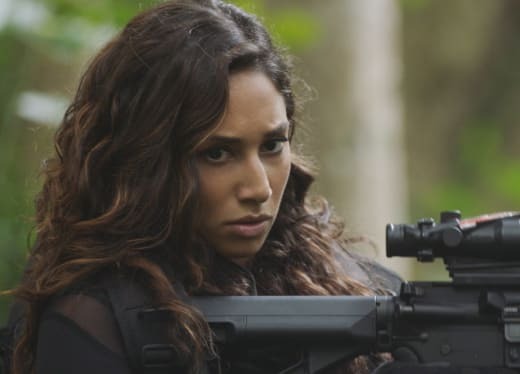 But McGarrett did a smart thing by sending Tani and Junior with Danny to search for Teague. He was right that Danny tends to defer to him, and that Danny has his own lessons, his own experiences that could benefit the younger detectives. Steve may have tricked Danny, but the others benefitted from Danny's wisdom. And wasn't it obvious after one scene that Granger's wife's SUV was in trouble? It was laughable to listen to Steve explain his theory of auto body work, how those dents could be buffed right out. What was Tani thinking, going back to the one man in the department who never wanted to see her again? Sure, Captain Keo naturally came around, letting Tani off while agreeing to check the ballistics on the gun she found at Adam's home. But why Keo? Surely she could have gotten Eric to run that on the down low, without setting off any alarms. This isn't the most interesting of storylines, so let's get it out of the way sooner rather than later. WIll Greer make trouble for McGarrett for something borderline he did under orders in the past? That seems to be the direction this storyline is going. I figured Greer's chopper would explode on liftoff, leading to a different line of inquiry. But no. To follow the CIA storyline, watch Hawaii Five-0 online. Is Steve in trouble for his past? Should Danny be more of a mentor? When will Adam return? Comment below. I know, buddy. I hate it when Mommy and Daddy fight. Permalink: I know, buddy. I hate it when Mommy and Daddy fight. Permalink: What are you looking at?